Google has made it easier for people to setup and use two-step verification to protect their accounts. Google already allowed users to tap a Security Key or enter a verification code sent to their phone. Now, users can also approve a new security prompt that pops up on the screen. According to Google, users can select any of these three methods for two-step verification via their Google account settings online. Android users will need the latest version of Google Play Services on their device, and iOS users will need the Google Search app. As the name implies, two-step verification adds a second layer of security to account logins. 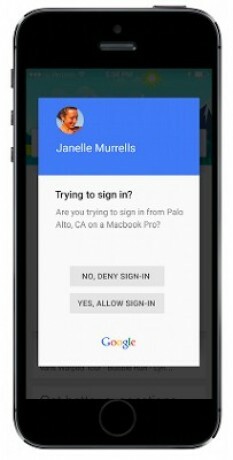 Google has expanded the two-step verification options when logging into Google services on a tablet or computer to allow the use of any Android 7+ phone as a hardware security key. The option is available today, for both personal and business accounts. Play Protect, a security tool Google announced earlier this year, has made its way to many of today's Android smartphones. Play Protect is a set of features that Google created to keep Android phones safe from malware and other malicious applications. Instagram today said it has rolled out two-factor authentication for all users around the world. The extra layer of security is optional, but can be used to safeguard accounts.